LAS VEGAS -- When you're a kid, there are a few universal sports dreams, like hitting a walk-off home run in Game 7 of the World Series, nailing a buzzer-beating 3-pointer to win a championship or holing out to win a golf major, to name a few. Poker has a similar dream scenario, where you're dealt pocket aces deep in the World Series of Poker main event against two players who hold pocket kings and you take all of their chips. For Michigan native Nicolas Manion, that exact dream was realized late Wednesday night in as perfect a scenario as could be imagined, in a hand that reduced the 2018 WSOP main event field to its final table of nine and made him the overall chip leader. Manion was so excited, in fact, that he didn't even realize what had happened in the moments that followed. "Somehow this is real life," Manion said. "When I got both calls, I flipped over my hand and I didn't even stay to see what they had. I went straight to my rail, looked up at the TV and they had set up pocket kings vs. pocket kings and my aces." Conversely, it was a nightmare for Rich Zhu and Antoine Labat. Zhu saw his main event run come to an end in 10th place, albeit with an $850,025 payday to soften the blow. Labat, who hails from France, was left with just 8 million chips -- putting him well behind the rest of the pack with the shortest chip stack heading into the first of three days of final table play on Thursday. Two of the biggest stories to watch come in the form of a pair of players making impressive repeat performances. Joe Cada, the 2009 WSOP main event champion, is the first player to win poker's world championship and then return to the final table since 1995 champion Dan Harrington did so in 2004. He'll start well behind the leaders, albeit in the middle of the pack, as he looks to become the first repeat champion in more than 20 years. In Cada's mind, the experience the second time was different for a number of reasons -- not the least of which because poker itself has evolved a great deal since 2009. "Poker, it's nine years later, that's enough said there," Cada said. "Everyone here is really good. Everyone was good my year too -- everyone deserved to be there -- but everyone's advancing in this game." John Cynn suffered the bittersweet fate of narrowly missing out on the WSOP main event final table in 2016, when he finished 11th. Even though Day 7 of the tournament saw Cynn carry a lot more chips through the day, things weren't quite as easy as they appeared. "I think it was a little bit tougher, actually," Cynn said. "The day felt longer; everyone was pretty deep going into the end of it. When I was late in Day 7 last [time], I was pretty short[-stacked] so I had a lot of all-in or fold type of decisions. Even though I had more chips, it was more stressful this time around." Manion slipped into the lead, thanks to the final hand of the night, just ahead of Michael Dyer heading into the final table. With both players holding well more than twice the stack of current third-place stack Tony Miles, it should make for a fascinating table dynamic once play resumes. The fight down from 27 players to nine saw some notable casualties, including WSOP bracelet-winners Zhu (10th), Ivan Luca (20th), Eric Froehlich (23rd) and Barry Hutter (25th). Sylvain Loosli, who finished fourth in the 2013 WSOP main event, also saw his bid for a return appearance dashed Wednesday, finishing 18th. Play will resume at 8:30 p.m. 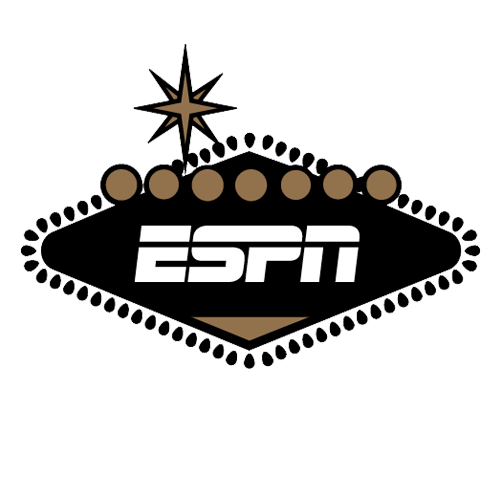 ET in Las Vegas, with the final table broadcast set to kick off at 9 p.m. ET on ESPN. * Phil Hellmuth stole some of the thunder Wednesday by winning his record-padding 15th WSOP gold bracelet. * Yaser Al-Keliddar broke through for his first WSOP bracelet in a $3,000 six-handed limit hold 'em event.